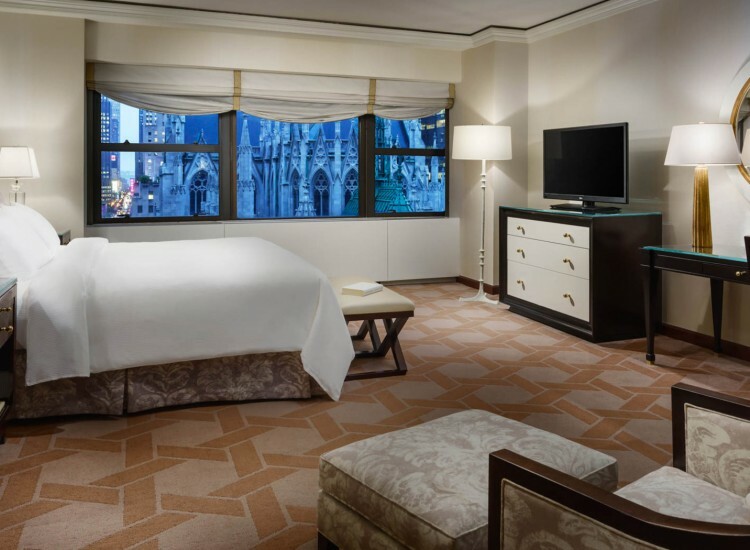 Our beautifully appointed guest rooms and suites in Midtown Manhattan exude the elegance and sophistication of New York City. 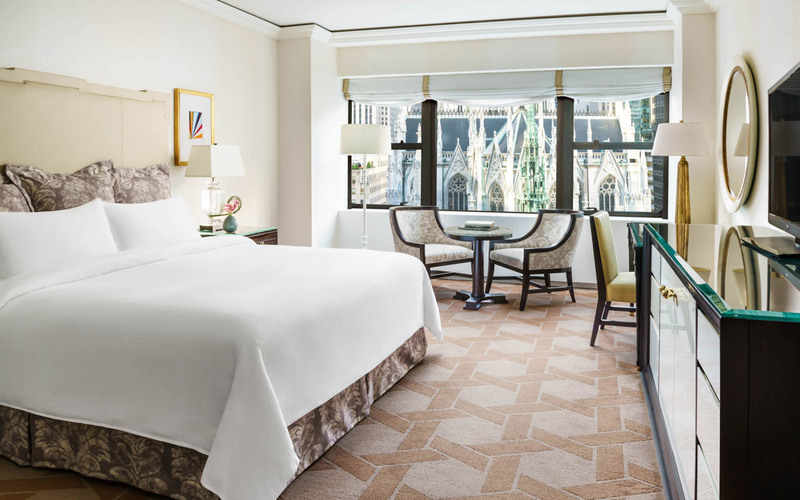 Enjoy unparalleled comfort paired with modern services and amenities, including a 24-hour room service menu featuring a selection of light, healthy dishes developed in partnership with Cooking Light magazine. 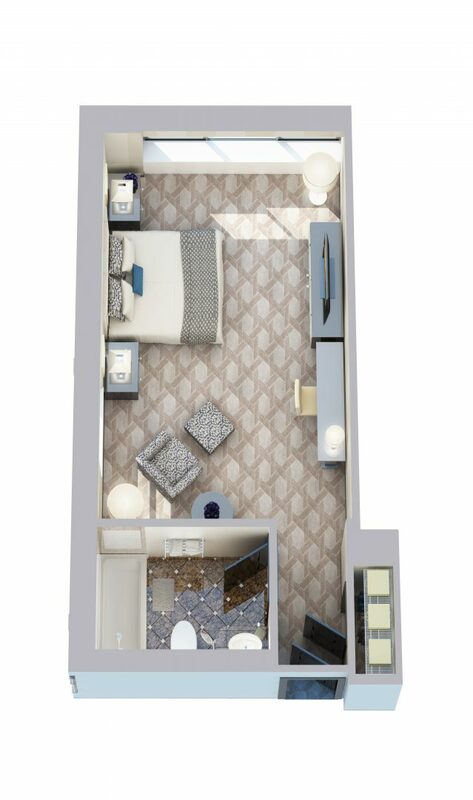 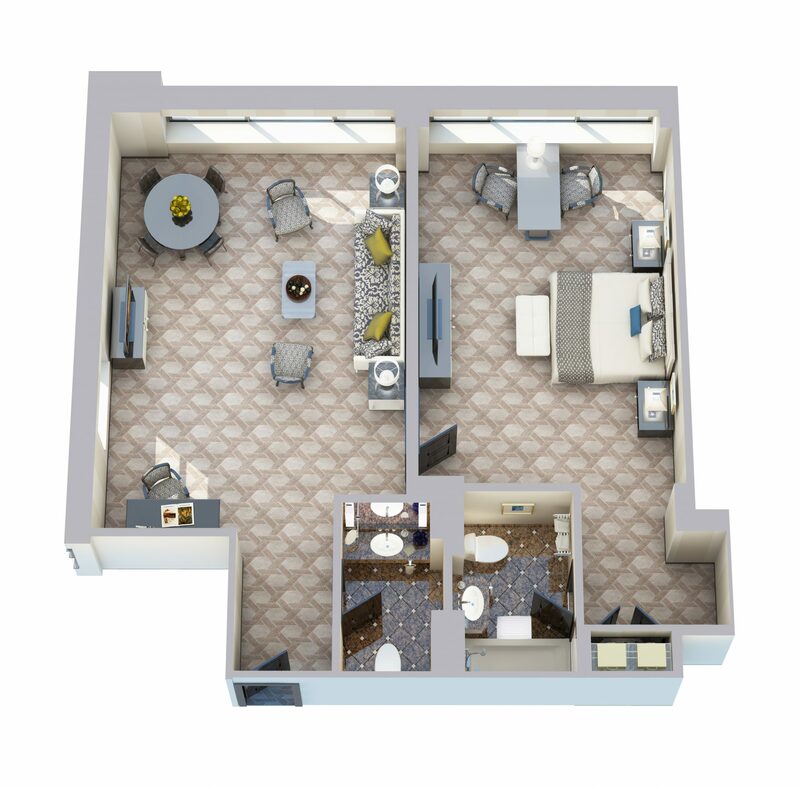 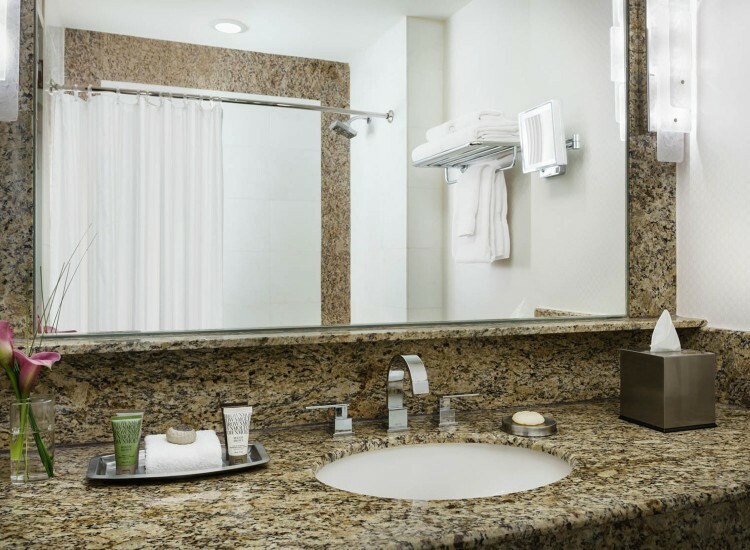 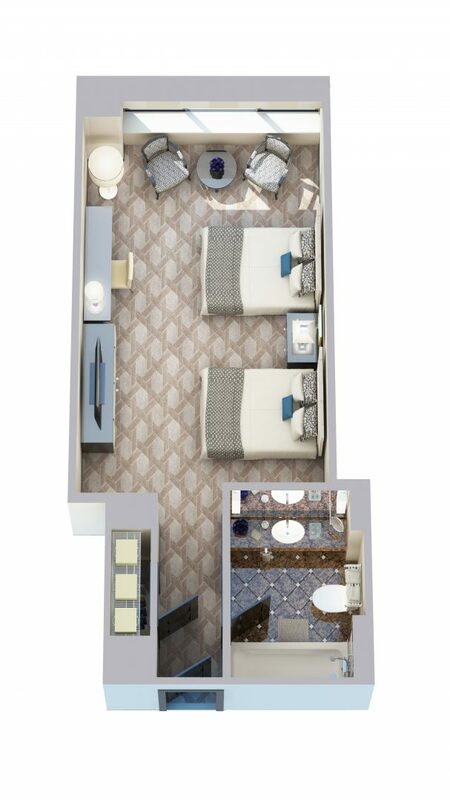 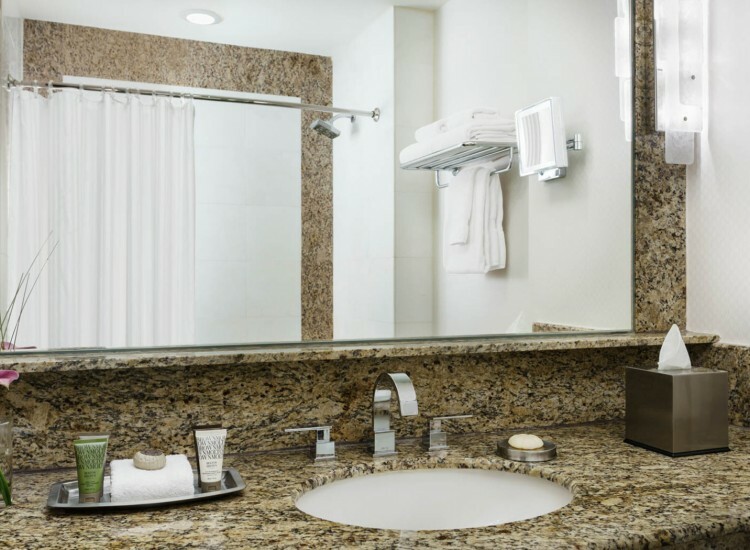 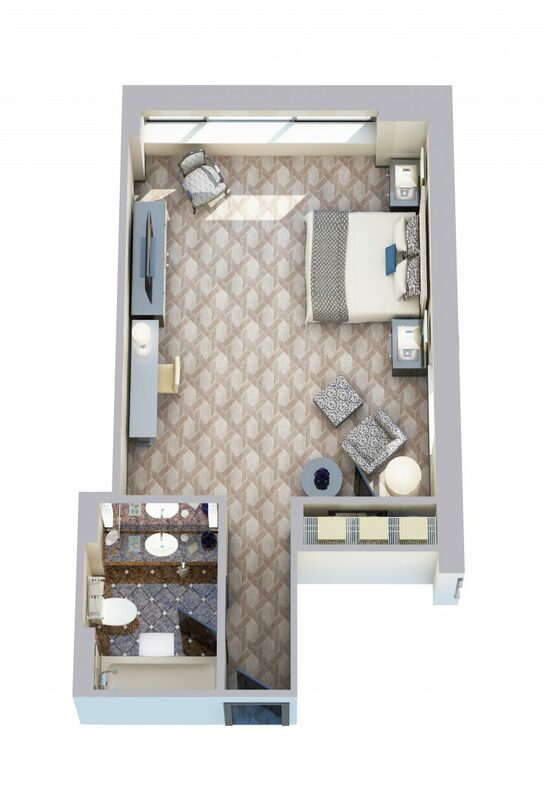 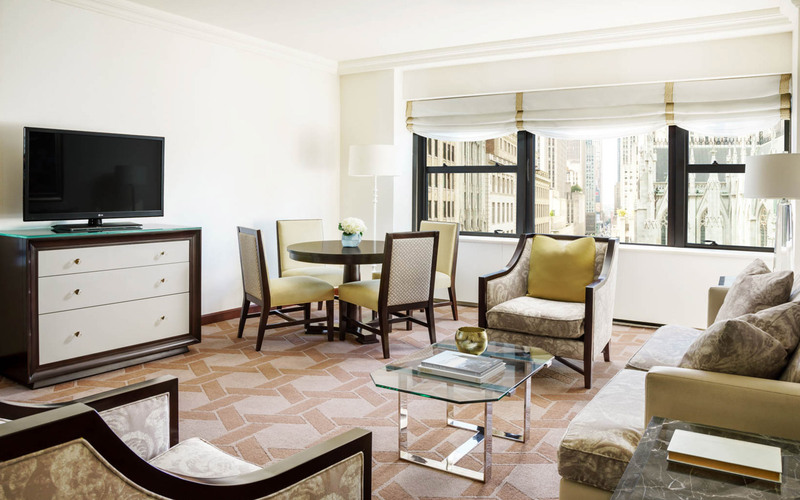 Our east-facing Superior Rooms feature a separate seating area, full-sized desk, and luxury amenities. 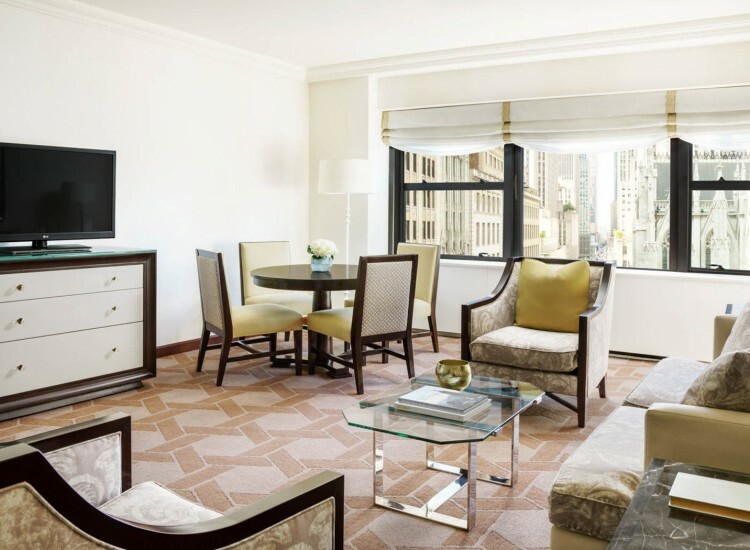 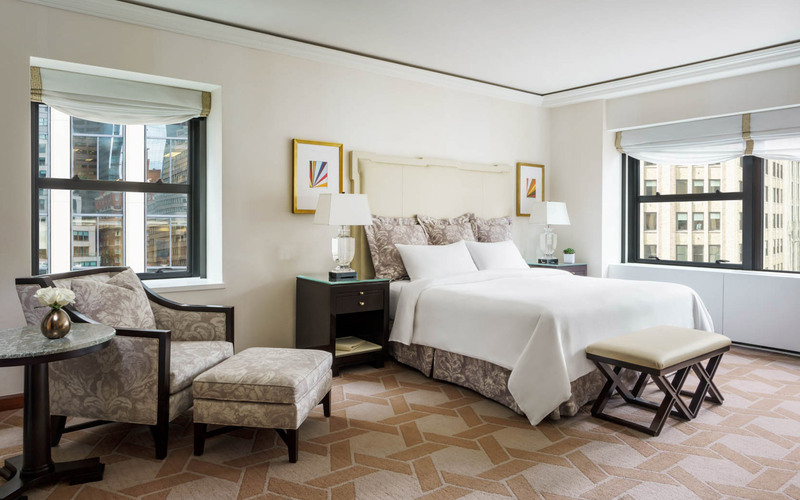 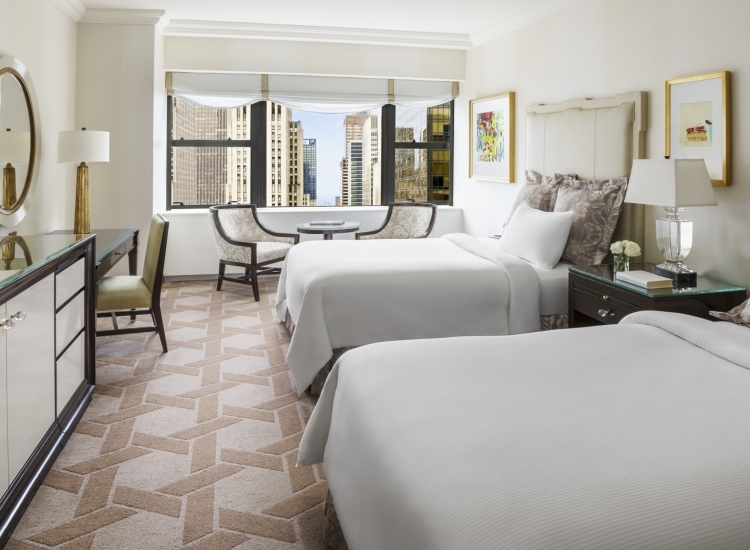 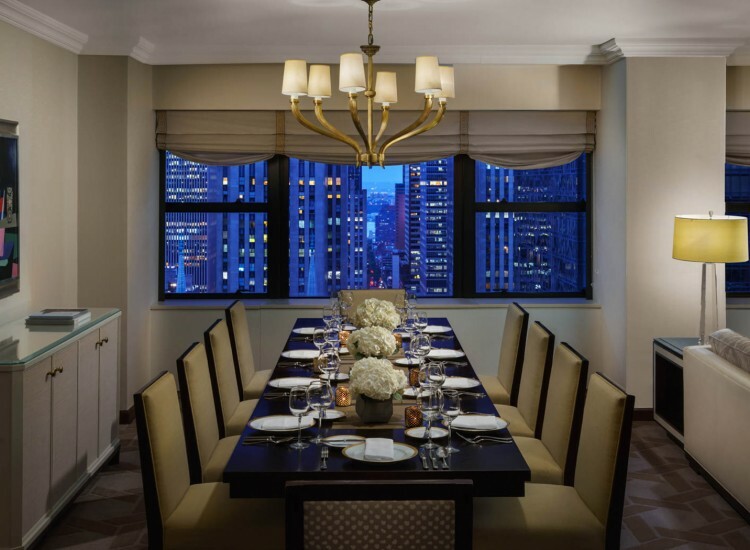 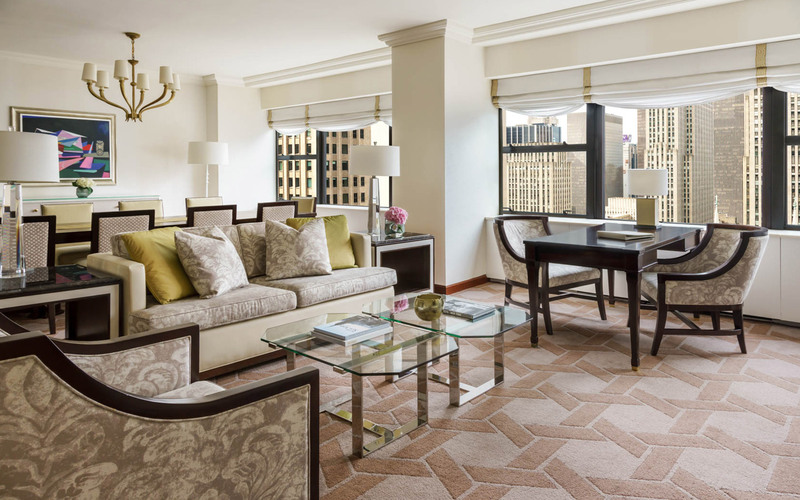 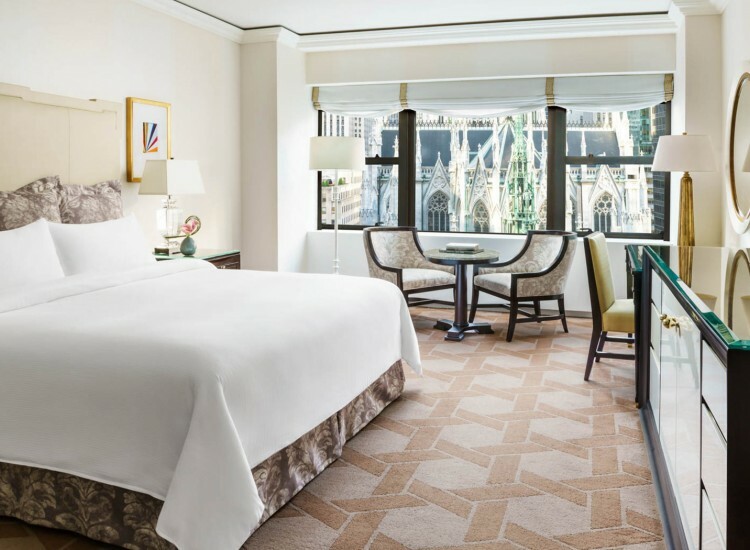 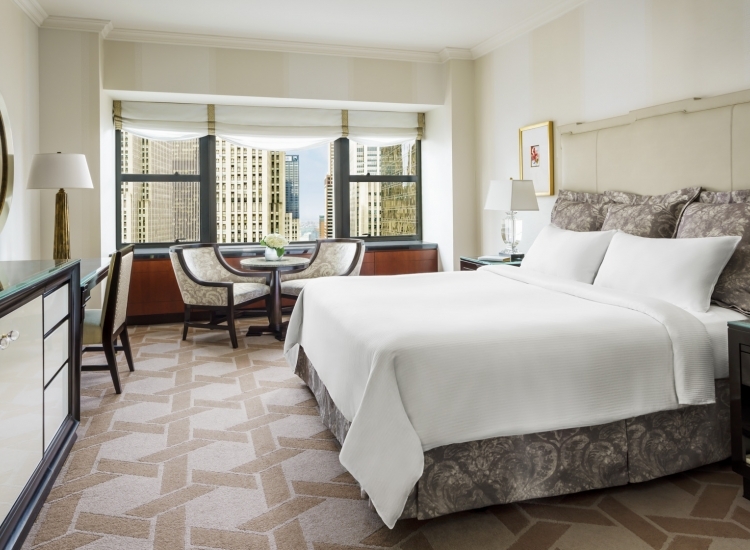 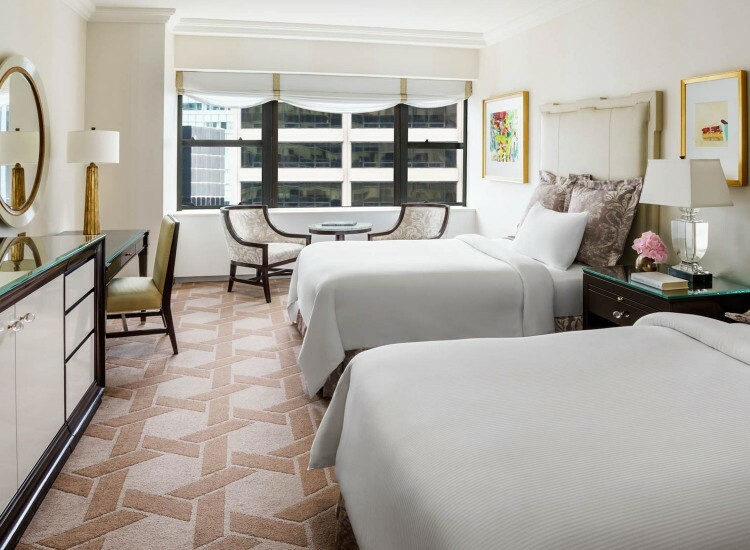 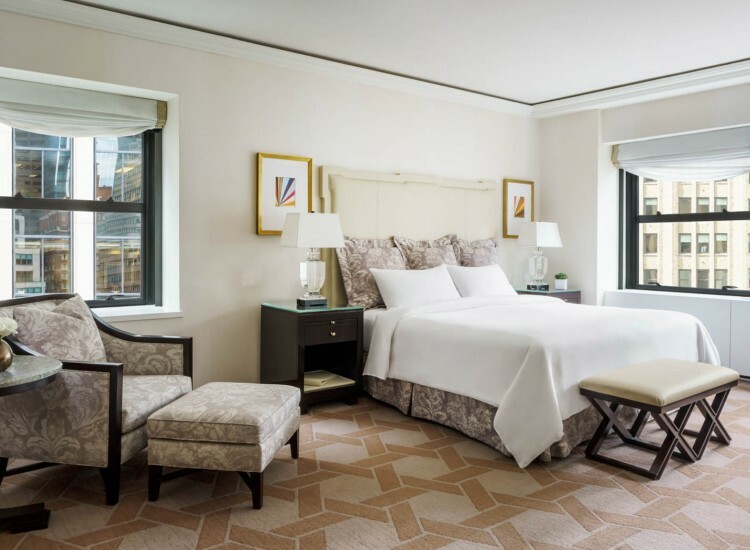 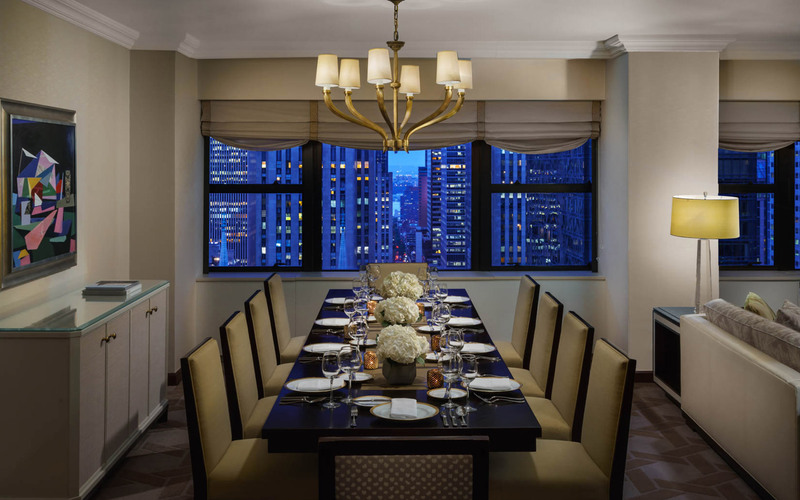 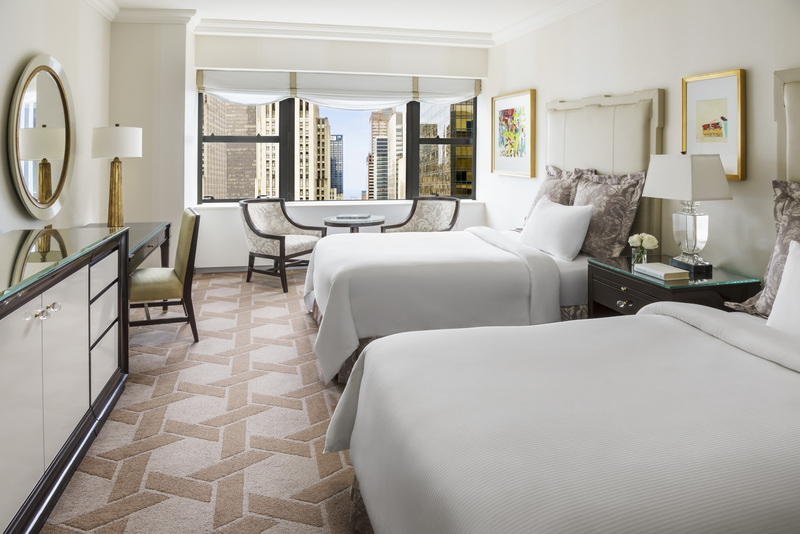 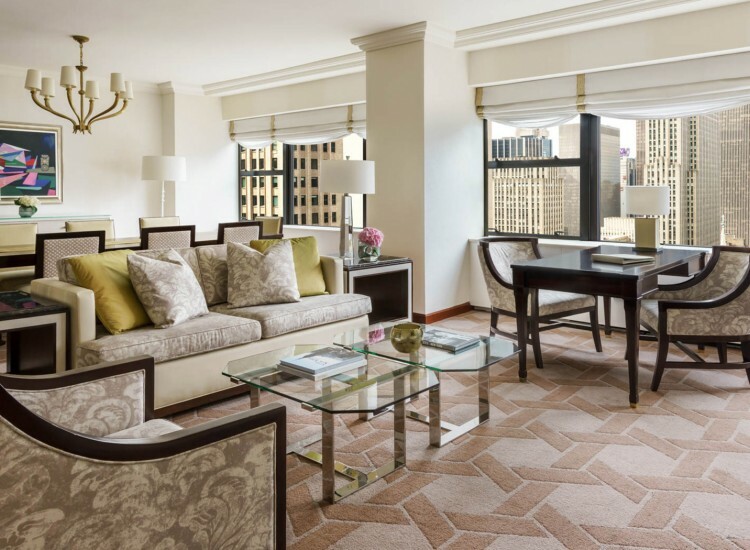 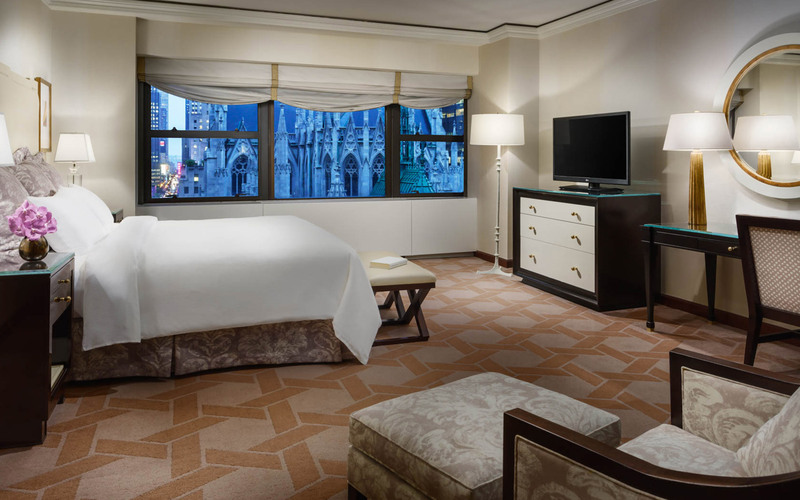 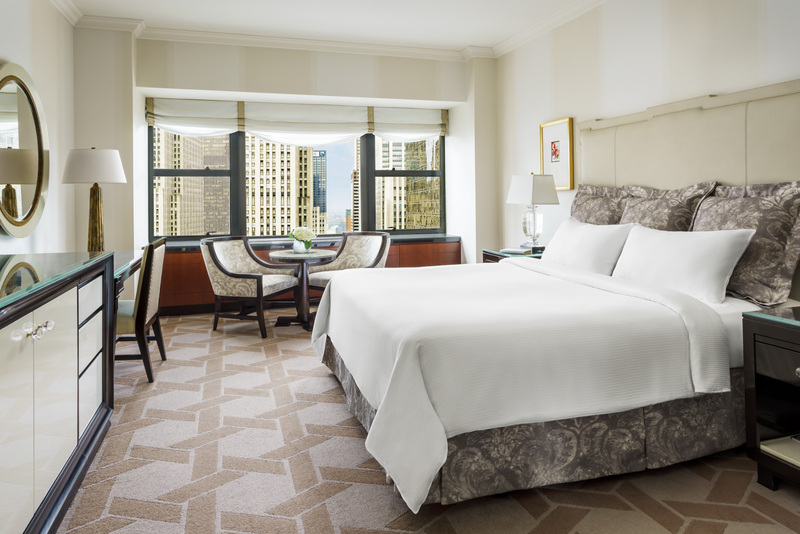 Our elegantly furnished Cathedral Room has views of the iconic St. Patrick's Cathedral and Rockefeller Center. 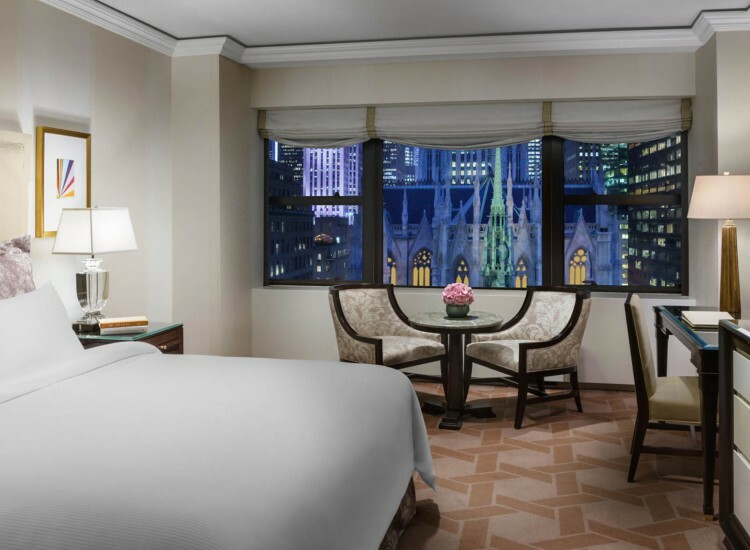 Located on higher floors, our Premier Skyline View Rooms offer panoramic skyline views of Manhattan’s West Side, Rockefeller Center, and St. Patrick’s Cathedral. 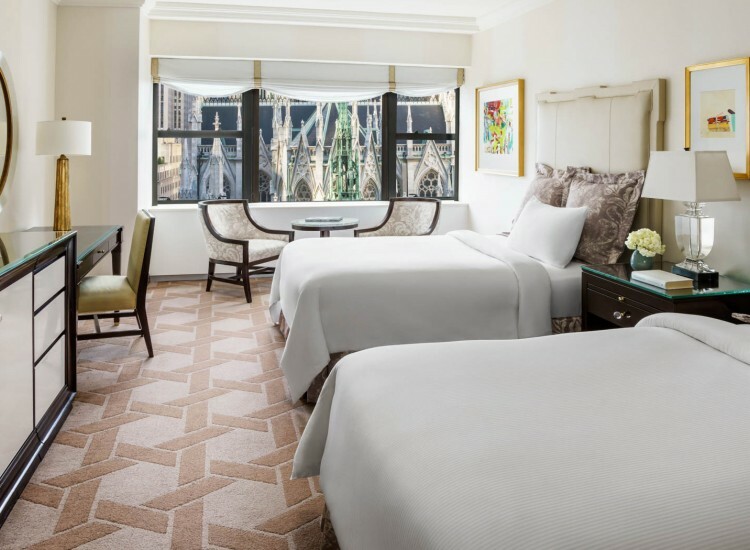 The hotel’s most requested rooms, our Corner Cathedral Room offers added space and a second window with sweeping views of St. Patrick's Cathedral. 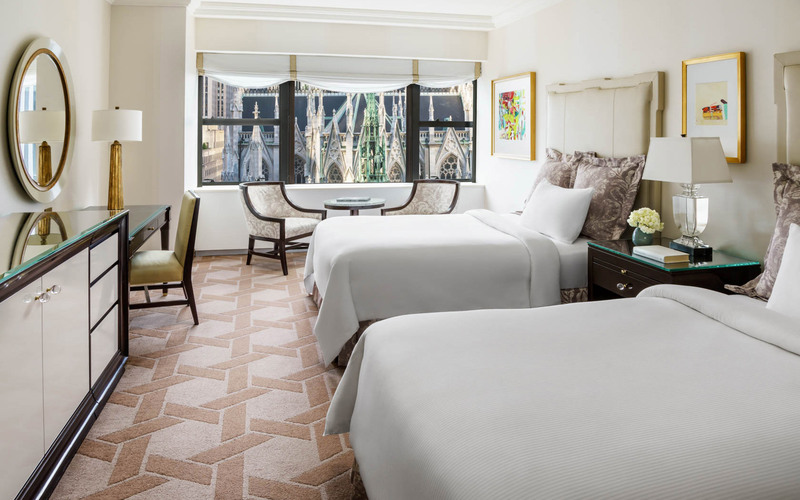 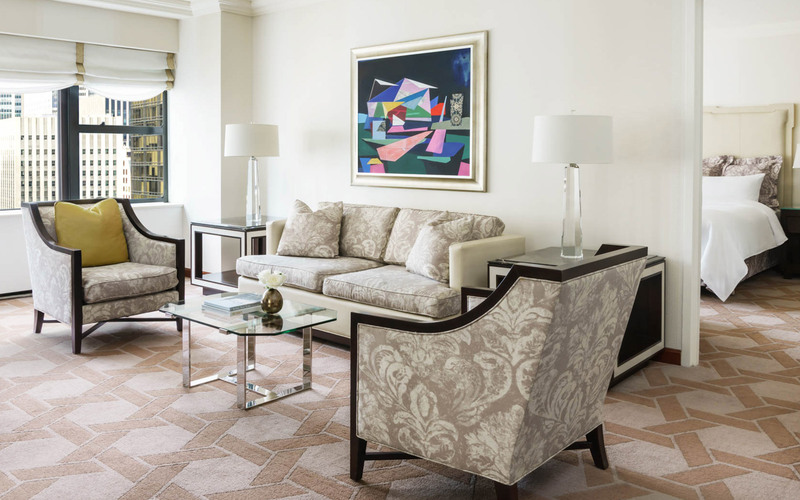 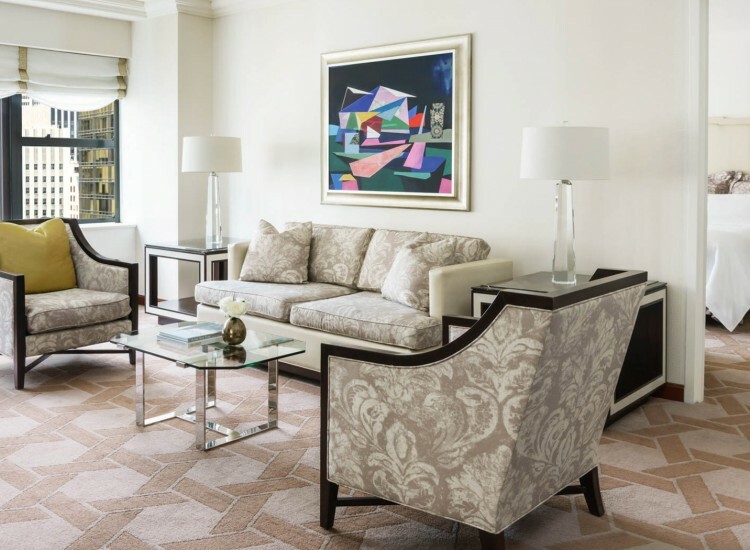 Offering views of St. Patrick’s Cathedral, our Deluxe One-Bedroom Suite features a separate living area with custom upholstered furnishings, dining table, and guest powder room. 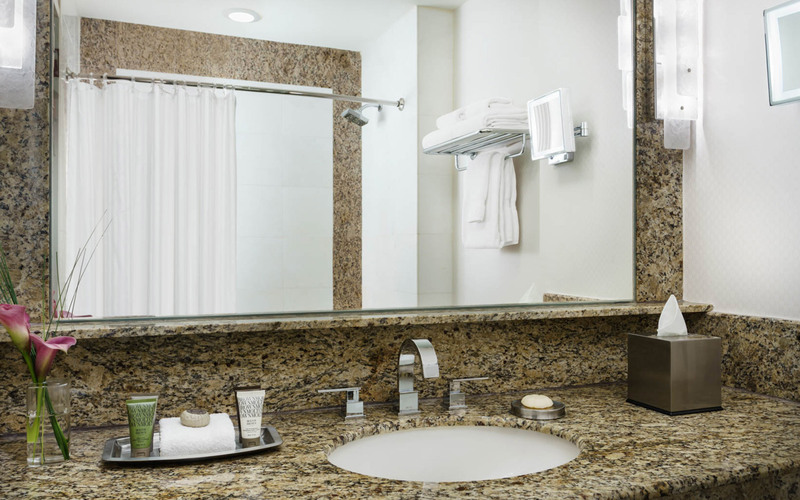 A large bedroom and en-suite marble bath is complemented by a separate dressing area. 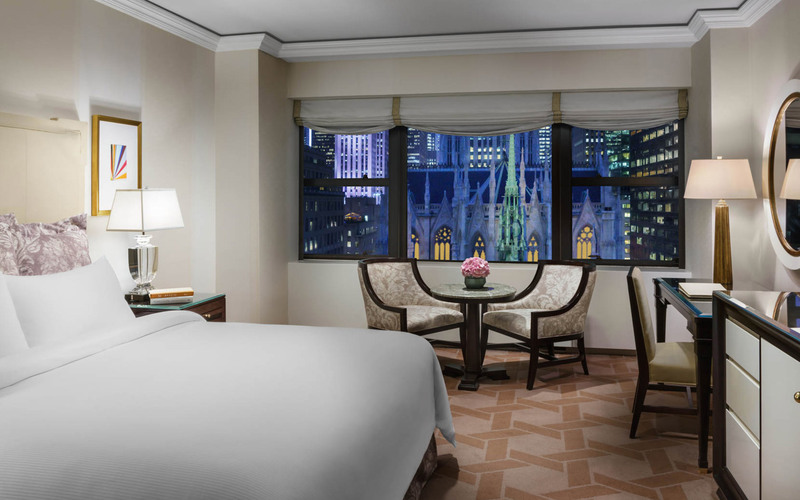 Perfect for families, our luxuriously appointed Deluxe Two Bedroom Suite has expansive views of the city skyline and St. Patrick’s Cathedral. 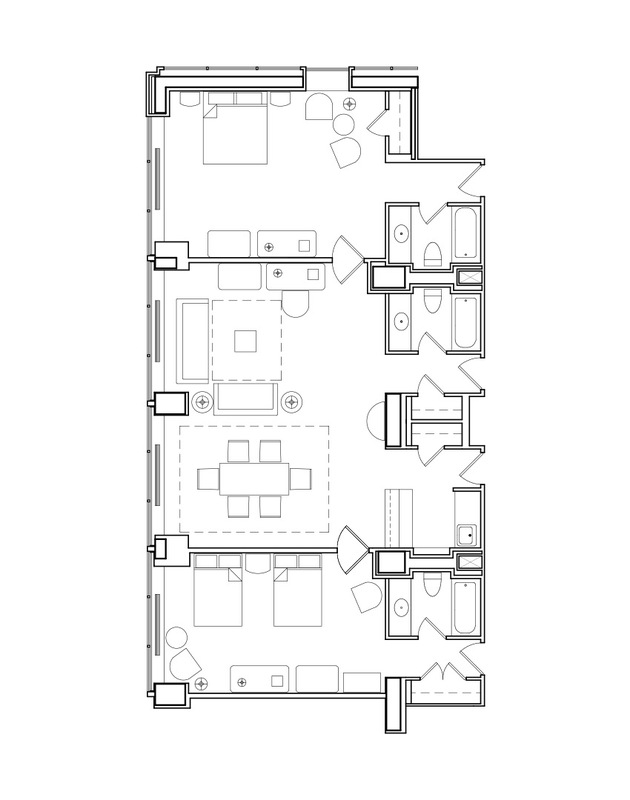 This sophisticated suite has an oversized living room with a large dining table seating eight and a wet bar. Connecting bedrooms have en-suite marble bathrooms.